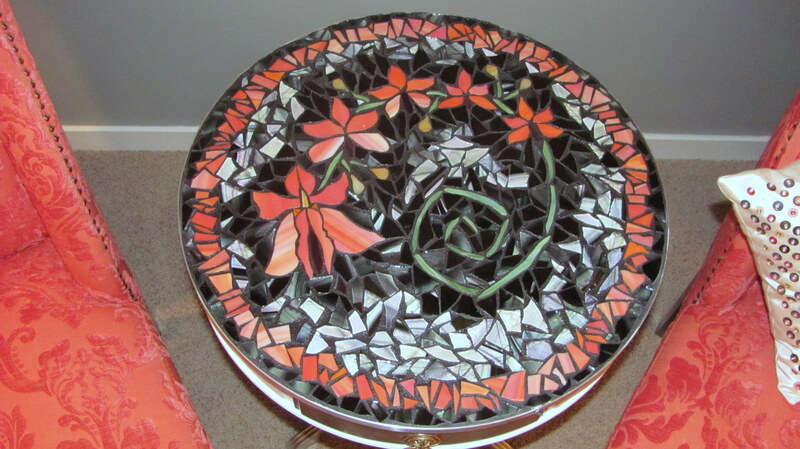 On the lookout for a little coffee table I could put in between the two coral chairs in my living room, I finally decided to design a stained glass mosaic table myself. The pattern is based on the stained glass window I did last spring. Instead of one main orchid I did a whole stem of orchids. I even bought a potted plant so I could draw my inspiration from how it looks and moves in real life. The first step was to cut out the orchids and stem, these are precisely cut. After this, I used a mosaic cutter to cut random pieces of black and white for the background and then again for the coral edge. I glued down all of the glass onto the table with enough room for grout. 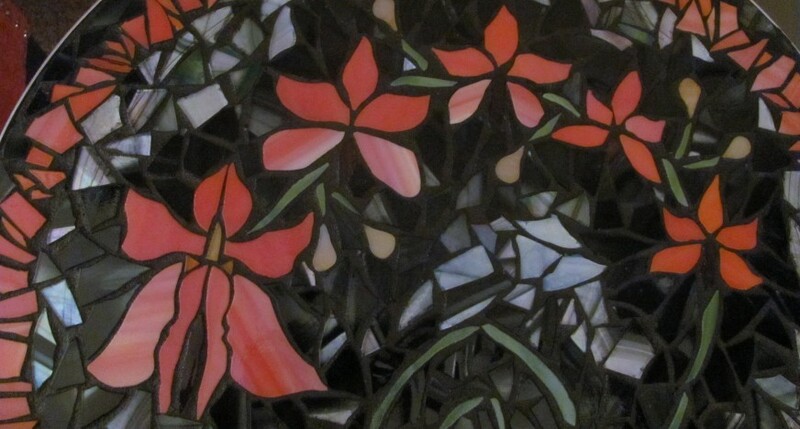 I chose a black grout because I wanted to add drama to the coral orchids. 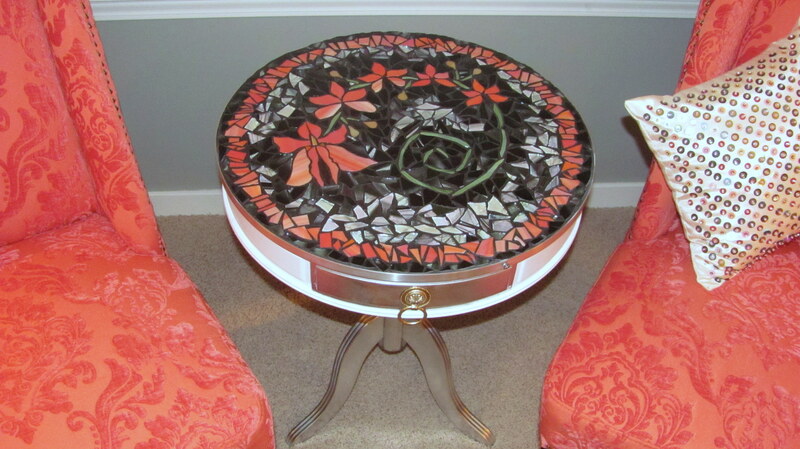 For the finishing touches, I added a metal edge and painted the table white and silver. 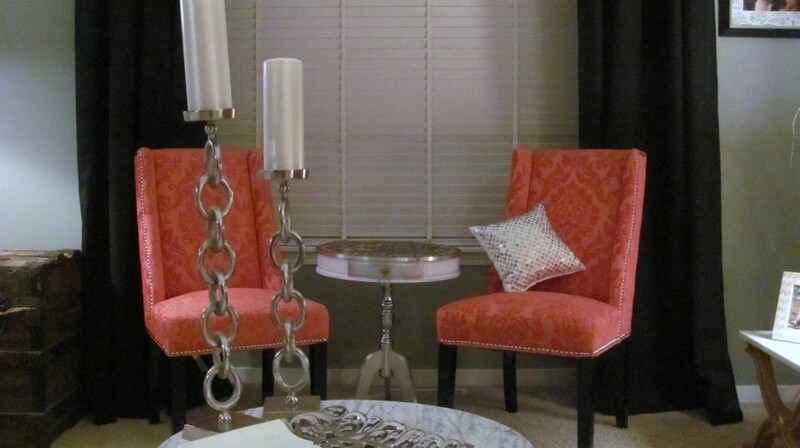 I really love how this looks in my living room and I can’t wait to sit in my coral chair and use the new stained glass mosaic table to rest my cup of tea.